Since the time of the ancient Greeks and Romans this lovely, aromatic plant has been used for cooking and medicinal purposes. You may know of it’s power to aid digestion and treat indigestion. I love a cup of mint tea if my stomach is a bit upset. 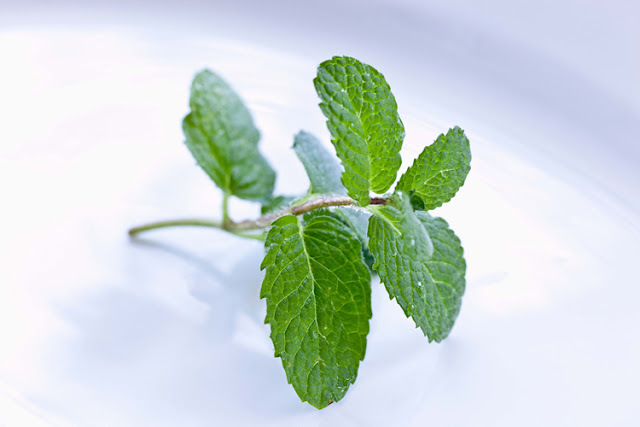 Menthol is derived from the peppermint plant. It is well know to treat chest and respiratory problems by relieving congestion and unblocking respiratory passages. You probably have had your share of cough drops containing menthol. Of course, there are minty mouthwashes and chewing gum to freshen your breath. Other benefits of mint are that it is rich in minerals such as copper, zinc, iron, manganese, potassium, calcium, selenium, fluoride and phosphorous. Vitamins included in mint are A, B12 and C. Mint also contains riboflavin, thiamine and folic acid. Quite a big punch for such a little plant! There is a very simple way to add more mint to your diet. Simply add a few crushed leaves the next time that you have a glass of water. Refreshing and good for you! Disclaimer – Please note: the information presented is not intended at a diagnosis, treatment or prevention of any disease. Please consult your physician if you are having any medical problems.